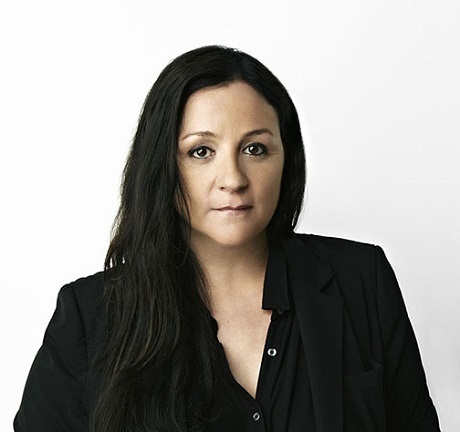 PR genius, reality TV star, public speaker, fashion guru, and author Kelly Cutrone is a force to be reckoned with. She’ll be back on the judges’ panel, joining Tyra Banks and J. Alexander, on the upcoming installment of America’s Next Top Model, which airs on the CW on August 18. Celeb Dirty Laundry had the unique opportunity to talk with the PR maven and find out more details about America’s Next Top Model cycle 21, along with a few interesting tidbits about her as well! This won’t be Kelly’s first go around on the panel. She’ll bring her expert knowledge and experience once again as she and her fellow judges will decide who stays and who goes on the second “Guys and Girls” edition of the hit show. The seven men and seven women will have to bring their “A” game for Kelly, the CEO and Founder of the public relations and brand Strategy firm People’s Revolution. She founded the firm in 1995 and can boast some extremely high profile clients, including Valentino, Christie’s Auction House, Thierry Mugler, Paco Rabanne, Vivienne Westwood, Jeremy Scott, and Agent Provocateur. Those who didn’t catch Cutrone in the last three cycles of the show may remember her from appearances on MTV’s The Hills and The City, where she was known as the tough as nails boss to Whitney Port. She was such a hit on the show that, within a year of her hit shows on MTV, she was offered her own show by Bravo, Kell on Earth. Later that year, Kelly went on to publish her first book, If You Have to Cry, Go Outside: And Other Things Your Mother Never Told You, a New York Times best seller. With all her knowledge and expertise that has landed her at the top of the fashion public relations world, making her one of the most sought after professionals in the industry, you’d think she’d been doing this all her life. Well, not so much. In fact, Kelly studied to be a nurse and graduated with a nursing degree before embarking on a career that she would later realize was her calling. We asked Kelly what she is most looking forward to on the upcoming cycle of ANTM. Kelly shares, “I’m happy that we’re still on the air and am so happy to be on the panel. The Guys and Girls edition has a much more interesting dynamic and this season will include the models dealing with a lot of house stuff. There will be love affairs, breakups, and a lot of male competition.” This should be one interesting season! In fact, the only way it might be even wilder is if Kelly was able to create her own judge’s panel. While adding ANTM to her already busy schedule seems like more than enough on Cutrone’s plate, she continues to pile on the projects. Kelly will launch a ten episode Internet talk series, The Kelly Cutrone Project, produced by Cutrone and DiGa. The show will air on The CW Seed beginning September 6, 2014. For now, fans of ANTM can be assured that Kelly will bring her big personality and expertise to each episode of this cycle of the show, which she promises to be pretty epic. Be sure your DVRs are set or tune in to the CW on Friday, August 18 for the premiere of another classic battle for the title of America’s Next Top Model.